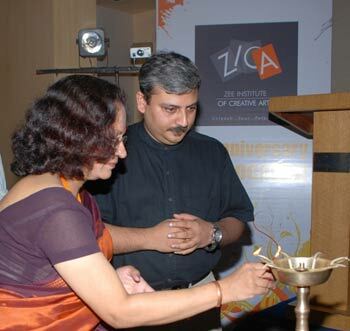 Zee Institute of Creative Arts; the nation's first full fledged Classical and Digital Animation Training Academy celebrated its 14th anniversary in Mumbai recently. Present at the event was the Head Academic Zee Learn Nitya Ramaswami, Head Youth Business ZICA Zee Lean Subhadarshi Tripathy and alumni's of the Institute. This initiative by ZICA had created a platform for alumni's of the institute; associated with renowned organizations, production houses and studios to congregate and share their experiences. In addition the institute also held a Convocation ceremony of DAFM-9 Batch. ZICA during the event had unfolded its voyage from the time of commencement; by presenting its journey through an Audio Visual. To add to the glory of the event, students and alumni's present on the day of occasion showcased their work and also shared their success stories.